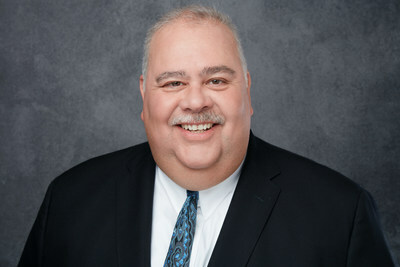 Rolando 'Roly' Orama announced as SVP, Claims for Combined Insurance, a Chubb company. CHICAGO, June 20, 2018 /PRNewswire/ -- Combined Insurance, a leading provider of individual supplemental accident, disability, health and life insurance products, and a Chubb company, announced Rolando 'Roly' Orama as the company's new Senior Vice President of Claims. Orama will be responsible for the end-to-end leadership of the company's Claims function in North America and will focus on claims service as a competitive advantage, talent management, setting policy strategies and driving a targeted operating model through process automation and analytics. "Roly brings a wealth of knowledge, broad expertise and wit to our organization. His experience in both large complex and transactional claims, collaborative leadership style, and exposure to Latino markets all align well with Combined's culture and business goals," said Kevin Goulding, President at Combined Insurance. Orama spent 33 years at Combined Insurance's parent company—Chubb, where he held various positions across the Claims organization. He first joined the company as a Workers Compensation Adjuster and went on to assume responsibility for the claims operations in Puerto Rico and promoted later to oversee claims for Latin America. Most recently, he served as the Western Regional Claim Executive. "Combined Insurance's growth within Chubb is noticed and valued. The company's purpose of helping customers when they need it most, speaks volumes to the level of service and care demonstrated by the organization," said Orama. "I look forward to building off of their tremendous legacy and culture of giving back to execute our business goals and plans for the future ahead." Orama is active in the organization and community, which aligns with Combined Insurance's strong purpose of giving back. He is a Senior Advisor to Chubb's Multicultural Business Roundtable—Mosaic and also a mentor for the Claim Diversity Council. He devotes his time to a number of charitable organizations, including Kane County, Ill., Court Appointed Special Advocates (CASA) for Children where he serves on the board.